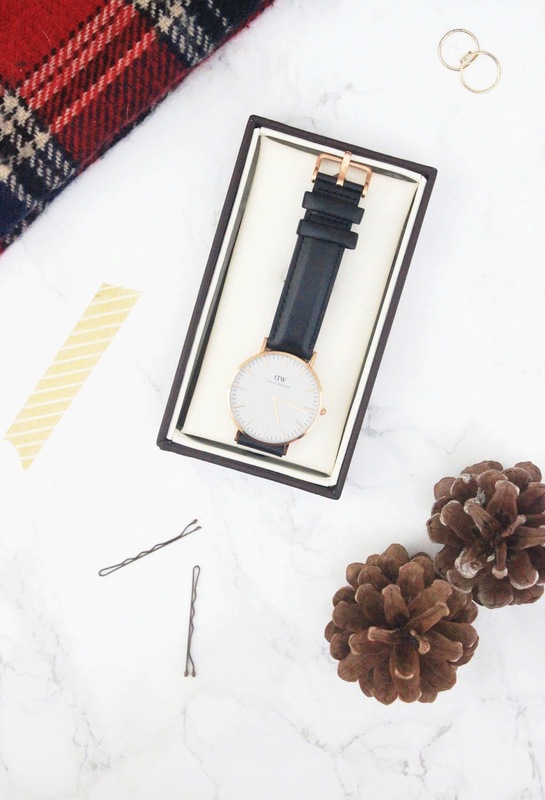 I have been looking for a watch I can wear daily for some time now, so when I set eyes on the Daniel Wellington Classic Sheffield Watch* I was instantly smitten and knew that I had to own it. Daniel Wellington is a brand best known for it's stylish and simplistic watches that allow you to buy interchangeable straps and faces for different occasions. This timeless, minimalistic design goes with a variety of outfits and has quickly become a staple in my wardrobe. The oversized watch face, rose gold detailing and black leather strap work perfectly together, making for an easy to wear watch both day and night. As someone who never used to wear a watch due to having incredibly small wrists, I found with this offering it is easy to make strap adjustments and the dial suits the size of my wrists perfectly. From the matte black strap to rose gold hardware, this watch is sophisticated and effortless. If you'd like to own one of your own, you can now use my discount code pintsizedbeauty and receive 15% off the watch of your choice. Valid until October 31st.